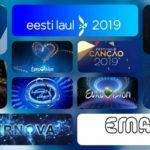 The final show of Supernova 2019 reached its end just minutes ago and Latvia has decide its Eurovision 2019 representative. The Band Carousel was the big winner of the Latvia’s national final and won the ticket represent the country in Tel Aviv next May. The winner came out from the public votes and the votes by a jury formed by DJ Rudd, Linda Leen (singer), Ralf Eiland (singer member of the goroup PeR represented Latvia in ESC 2013) and Artis Dvariona (radio producer). The pubic had a choice to vote through four different methods: televote, web vote, Spotify streams and Alpha app. Each of these methods were ranked individually and after added all up in order to have the overall televoting result. 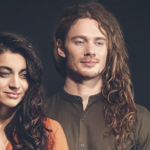 After winning the 2nd semi final of Supernova, the indie pop band Carousel manage to top tonight’s voting too winning the golden ticket to Tel Aviv where they will represent Latvia at the 64th Eurovision Song Contest.